陈华珊. 2017. 罚似然图模型与社会网络测量[J]. 社会, 37(2): 1-25. CHEN Huashan. 2017. Penalized Gaussian Graphic Models and Their Applications in Social Network Measurement[J]. 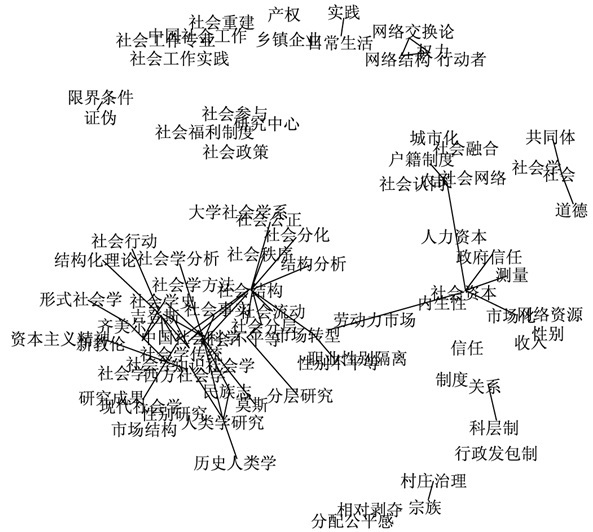 Chinese Journal of Sociology(in Chinese Version), 37(2): 1-25. Abstract: Given the popularity of Internet and new technology, more and more behavioral data recording human interactions has now become available, and attracted the attention of sociological research. Most of the behavioral journal data are of event-action type and are the same data structure as two-mode networks. Two-mode networks are common in social network analysis fields and there are many methods for analyzing two-mode networks. However, unlike the classical two-mode network that is usually a small dataset and suitable for methods such as matrix decomposition, principal component analysis, and other descriptive analysis methods, the underlying network of behavioral data is rather large in scale, with information about time ordered heterogeneous events. Besides, the network members change dynamically, members may join or leave the network. Traditional analytic methods cannot effectively deal with such data. The analysis of such large-scale behavioral data is a huge challenge for social scientists. Over the past decade, the high dimensional Gaussian graphic model has received a great deal of attention in the research of network structure detection, especially those based on Tibshirani's lasso method of statistical analysis (1996). The success of the lasso based penalized Gaussian graphic model is not only due to its efficiency in high dimensional computation, but also due to its interpretability and ease of extension under further considerations. Hence, the lasso penalized Gaussian graphic model is a rapidly developing field with an overwhelming amount of literature on Biology, Genetics, Neurology, machine learning, etc. However, it hasn't caught the attention from social scientists. This paper presents an overview of the applications of lasso based penalized Gaussian graphic model for the measurement of network structures with observational behavioral data. The author does not focus on the specific solution algorithms and optimization processes, but rather on the potential substantial contributions of the Gaussian graphic model and its extensions to social science research. This paper derives different hypothesis under theoretical concern and demonstrates with real data examples. Finally, it also briefly summarizes the related models and their R packages, with intent to expand the application of the Gaussian graphic models in social science research. 陈华珊. 2015. 虚拟社区是否增进社区在线参与?一个基于日常观测数据的社会网络分析案例. 社会, 35(5): 101. Allen, Genevera I. and Zhandong Liu. 2012. "A Log-Linear Graphical Model for Inferring Genetic Networks from High-Throughput Sequencing Data." Arxiv:1204.3941[Stat]. Banerjee Onureena, Laurent El Ghaoui, Alexandre d'Aspremont. 2008. Model Selection through Sparse Maximum Likelihood Estimation for Multivariate Gaussian or Binary Data. Journal of Machine Learning Research, 9: 485-516. Blei, David M. 2011. "Introduction to Probabilistic Topic Models." Communications of the ACM:1-16. Blei David M., Ng Andrew Y., Jordan Michael I.. 2003. Latent Dirichlet Allocation. The Journal of Machine Learning Research, 3: 993-1022. Burt, Ronald S. 1995. Structural Holes:The Social Structure of Competition. Cambridge:Harvard University Press. Cai Tony, Hongzhe Li, Weidong Liu, Jichun Xie. 2015. Joint Estimation of Multiple High-Dimensional Precision Matrices. The Annals of Statistics, 38: 2118-2144. Chiquet, Julien, Gilles Grasseau, Camille Charbonnier, and Christophe Ambroise. 2016. SIMoNe:Statistical Inference for Modular Networks. Davis, Allison, Burleigh B. Gardner, Mary R. Gardner, and J. W. Silver. 1941. Deep South. Chicago:University of Chicago Press. Foygel Rina, Mathias Drton. 2010. Extended Bayesian Information Criteria for Gaussian Graphical Models. Advances in Neural Information Processing Systems, 2010: 604-612. Freeman, Linton C. 2003. "Finding Social Groups:A Meta-Analysis of the Southern Women Data." In Dynamic Social Network Modeling and Analysis:Workshop Summary and Papers (2003), edited by Ronald Breiger, Kathleen Carley and Philippa Pattison. Washington:The National Academies Press:39-97. Friedman, Jerome and Robert Tibshirani. 2014. "Glasso:Graphical Lasso-Estimation of Gaussian Graphical Models." R Package Version 1. Friedman, Jerome, Trevor Hastie, and Robert Tibshirani. 2010. Applications of the Lasso and Grouped Lasso to the Estimation of Sparse Graphical Models. Technical report, Stanford University:1-22. Haslbeck, Jonas M. B. and Lourens J. Waldorp. 2015. "Structure Estimation for Mixed Graphical Models in High-Dimensional Data." Arxiv:1510.05677[stat.AP]. Kolar Mladen, Xing Eric P.. 2011. 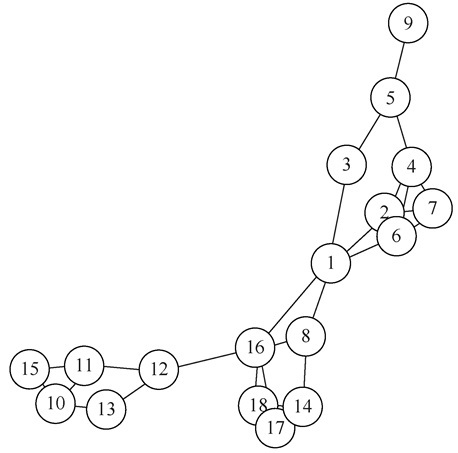 On Time Varying Undirected Graphs. Journal of Machine Learning Research, 10001(15): 407-415. Lauritzen Steffen L.. 1996. Graphical Models. Oxford: Clarendon Press. Lotsi, Anani and Ernst Wit. 2013. "High Dimensional Sparse Gaussian Graphical Mixture Model." Arxiv:1308.3381. Ma, Shiqian, Lingzhou Xue, and Hui Zou. 2012. "Alternating Direction Methods for Latent Variable Gaussian Graphical Model Selection." Arxiv:1206.1275[Math, Stat]. Mardia Kanti V., Kent John T., Bibby John M.. 1980. Multivariate Analysis. London & New York: Academic Press. Mikolov, Tomas, Kai Chen, Greg Corrado, and Jeffrey Dean. 2013. "Efficient Estimation of Word Representations in Vector Space." Arxiv:1301.3781. Mohan Karthik, Palma London, Maryam Fazel, Daniela Witten, Su-In Lee. 2014. Node-Based Learning of Multiple Gaussian Graphical Models. Journal of Machine Learning Research, 10001(15): 445-488. Newman, Mark E. J. 2004. "Analysis of Weighted Networks." Physical Review. DOI:https://doi.org/10.1103/PhysRevE.70.056131. Pennington Jeffrey, Richard Socher, Manning Christopher D.. 2014. 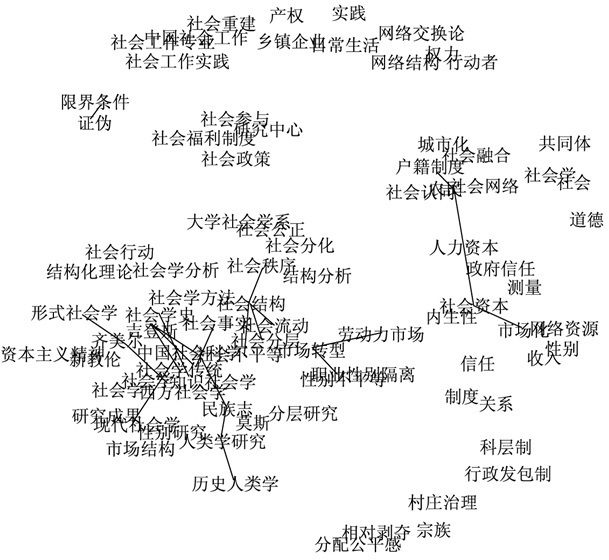 Glove:Global Vectors for Word Representation. EMNLP, 10001(4): 1532-1543. Ravikumar, Pradeep, Garvesh Raskutti, Martin J. Wainwright, and Bin Yu. 2008. "Model Selection in Gaussian Graphical Models:High-Dimensional Consistency of L1-Regularized MLE." Advances in Neural Information Processing Systems:1329-1336. Song Le, Mladen Kolar, Xing Eric P.. 2009. Time-Varying Dynamic Bayesian Networks. Advances in Neural Information Processing Systems, 22: 1732-1740. Tibshirani, Robert. 1996. "Regression Shrinkage and Selection via the Lasso." Journal of the Royal Statistical Society:Series B (Methodological):267-288.
 van Borkulo, Claudia D. and Sacha Epskamp. 2014. "IsingFit:Fitting Ising Models Using the eLasso Method." R package version 0.2.0.
 van Borkulo, Claudia D., Denny Borsboom, Sacha Epskamp, Tessa F. Blanken, Lynn Boschloo, Robert A. Schoevers, and Lourens J. Waldorp. 2014. 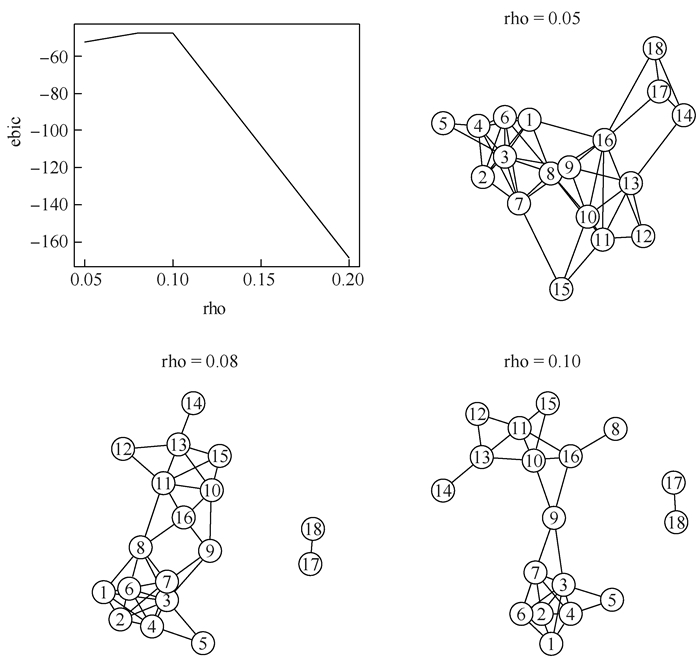 "A New Method for Constructing Networks from Binary Data." Scientific Reports 4. Vandenberghe Lieven, Stephen Boyd, Wu Shao-Po. 1998. Determinant Maximization with Linear Matrix Inequality Constraints. Journal On Matrix Analysis and Applications, 10001(19): 499-533. Wit Ernst C., Antonino Abbruzzo. 2015. Inferring Slowly-Changing Dynamic Gene-Regulatory Networks. Bmc Bioinformatics, 16(Suppl. 6): S5. Zhao, Tuo, Xingguo Li, Han Liu, Kathryn Roeder, John Lafferty, and Larry Wasserman. 2015. 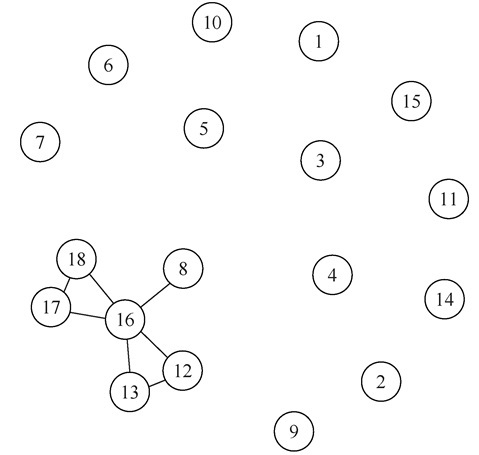 "Huge:High-Dimensional Undirected Graph Estimation." R package version 1.6.